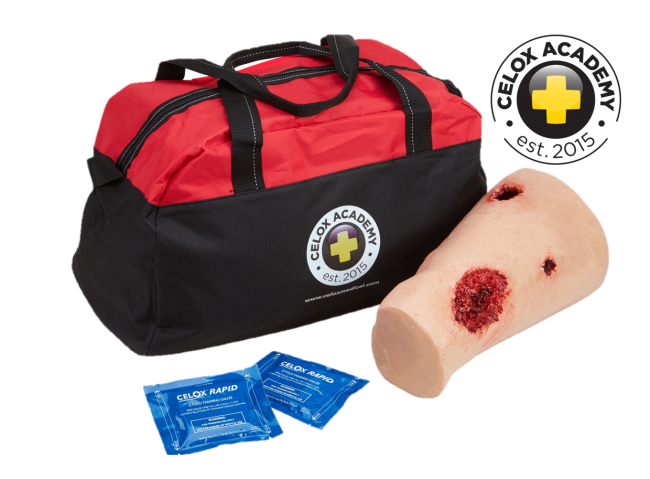 Celox Academy thigh training kit helps to perfect wound packing skills for bleeding control. 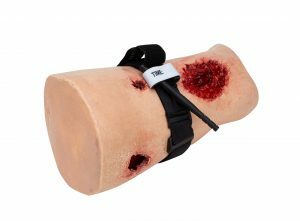 To be effective, haemorrhage control training needs to simulate a real situation as closely as possible. 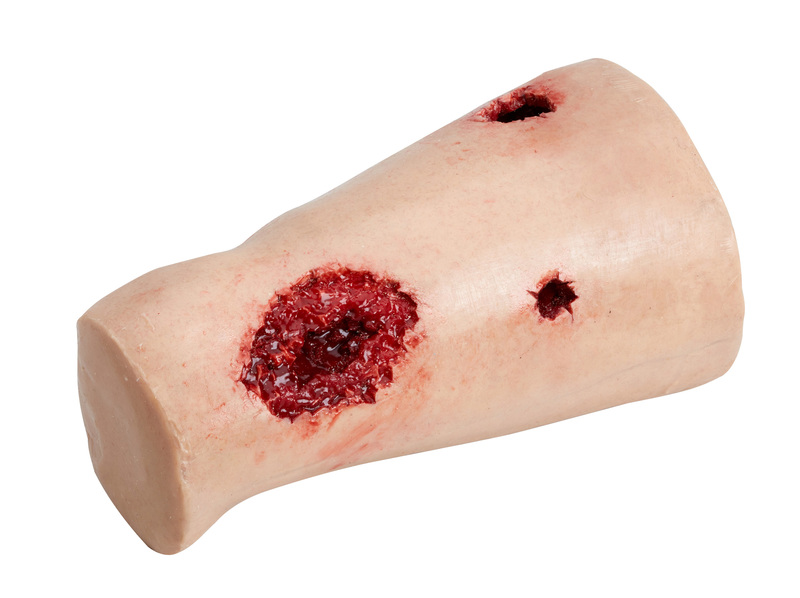 Using life-like models with realistic skin texture and bleeding injuries that are representative of knife and gunshot wounds help to prepare the mind for treating traumatic injuries as well as the perfecting the actions for stopping haemorrhage effectively. What comes in the Celox Academy thigh training kit? 1. Large cavity wound for Gauze packing. 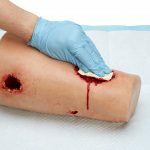 Can simulate bleeding when connected to a syringe filled with blood, supplied in the kit. 2. 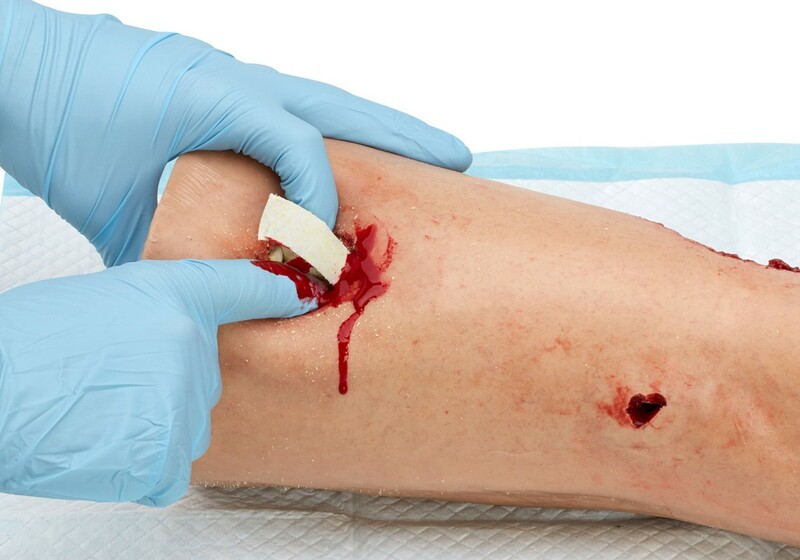 Open surface wound for Celox Granules and Gauze packing. Blood can be poured into the wound prior to packing to simulate bleeding. 3. 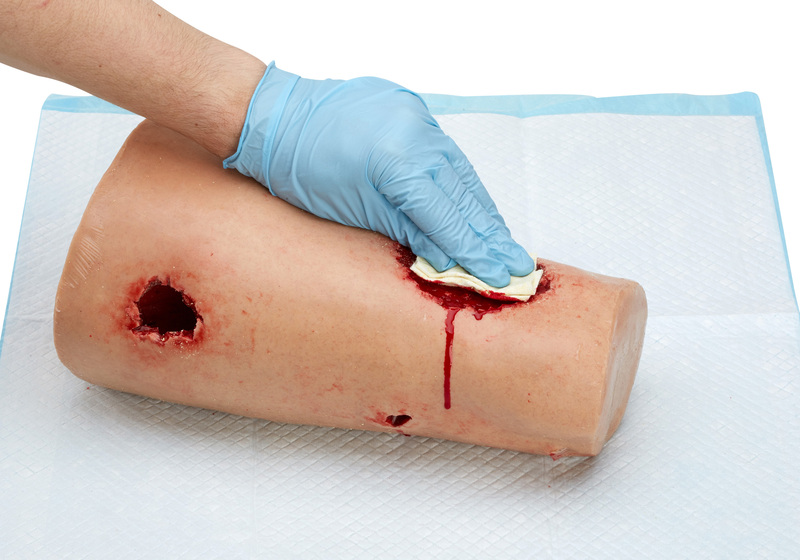 Narrow entry and exit wound for Celox Applicators**. 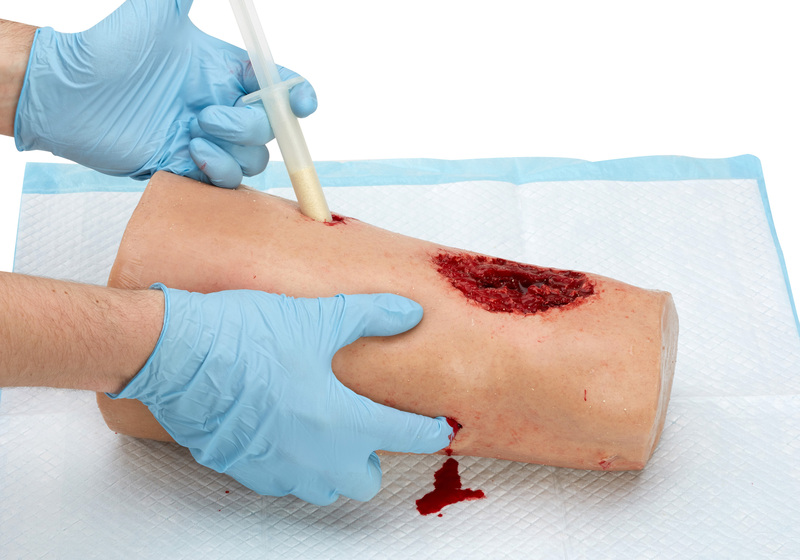 Can also simulate bleeding when connected to a syringe filled with blood, supplied in the kit. * Appearance and size may vary.